These exist entirely for everyone’s mutual protection, and to ensure that we have an agreed route across each piece of land, before we start to lay the network. To be fair and consistent, we use a single, standard wayleave document for everyone. To provide a connection only to your property. This is entirely at your cognisance: in the normal course of events, we will terminate our ducting at a convenient point on your property boundary and, as part of your connection fee of £135, you will be provided with the 7mm ducting needed to reach from the connection at your boundary to your property. You will be responsible for installing that – although we will provide advice on the best way to go about it. No wayleave is required for this and you are responsible for the duct and fibre between your property boundary and your house. Where our network needs to cross your property in order to reach other properties beyond. 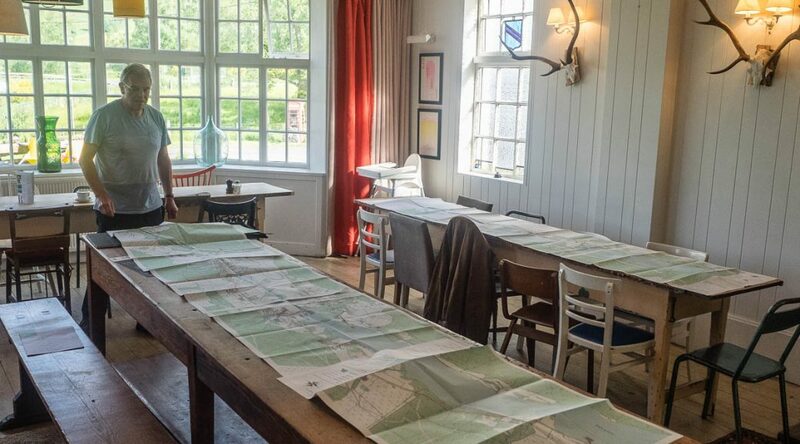 This is where we do need a wayleave: a one page document allowing the installation and a map which we will mark up with you to show the route that works best for you. This doesn’t make you responsible for any accidental damage to the network where it crosses your property: it’s BCB’s responsibility to maintain it. Where we install ducting across a property, we’re installing just one (occasionally two) 16mm diameter plastic ducts, which we’ll bury (again, in most cases), with your agreement, between 450mm and 600mm below the surface. We will of course also agree with you the exact route and the least disruptive way to carry out the laying of the duct. BCB itself, and any contractors we may use, are fully insured for liability. If you don’t want to take a service right away, but are prepared to allow a wayleave for the network to cross your land (if needed), then that’s no problem: we’ll still provide a connection point to allow your property to be connected in future. Where we need to be very clear though, is what happens if the network needs to cross your land, but you’re not prepared to allow that to happen. In such cases, of course, we need to find, agree and build an alternative route. That takes time and can cost the project significant sums, as well as delaying the network connections to the properties we were trying to reach beyond you. The cost of digging to your property boundary from the nearest connection point on the then current network. If this is after the main build, and our volunteers and tools aren’t then available, that may need to be at commercial rates. The costs, if any, that the project has incurred in originally bypassing your property. In some cases, that could run into thousands of pounds. This is a community-based project and, of course, functions most effectively when everyone is prepared to support it. We’re not asking you to take responsibility for maintaining the network or to suffer any more than the minimum necessary disruption involved, and we’ll only ask to cross your land where this is genuinely the most convenient and economic route. We hope that helps clarify everything – if you’ve any further queries, please either refer to our FAQ list, or email us. Excellent explanation of community wayleaves! I am a landowner, and when our community network went through our land they put it where we advised them to, not where they originally planned it to go (through alluvial rock!) and it was a very slick operation and has been no trouble at all. The fields have since been ploughed and no damage to the duct. It made it a lot easier to connect our farm because we hadn’t as far to dig as we would have had if it hadn’t gone through our land.